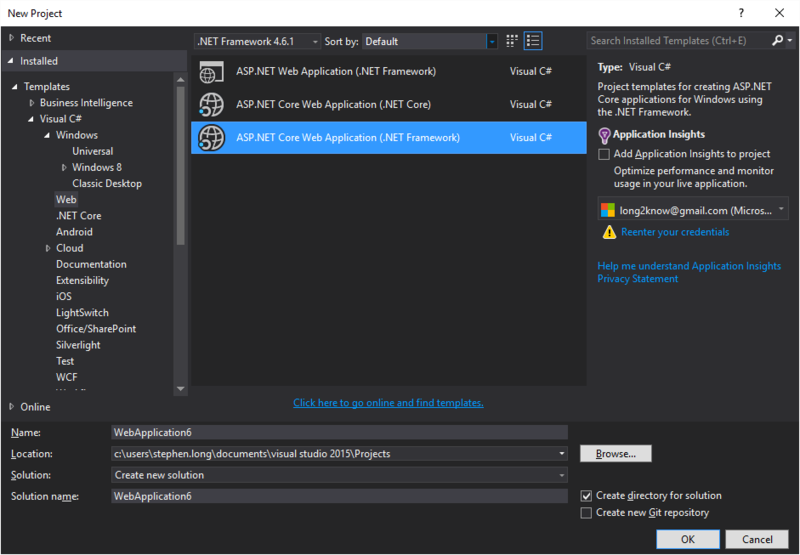 Starting from scratch, we must create our web project such that it targets ASP.NET Core w/ .NET Framework. 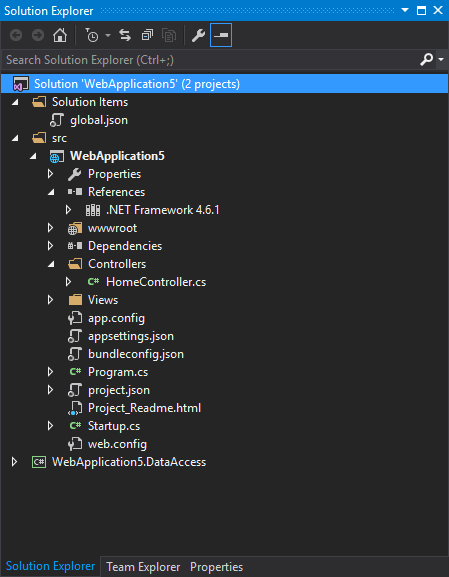 You’ll see in the project dependencies that the .NET 4.6.1 reference is provided. I create a seperate project for my DataAccess layer with a context inheriting from my own utility’s BaseContext. The constructor simply takes a connection string. The part that is missing to get things working is that, since EF6 relies on loading configuration information from *.config files, the client type is no longer available. We have to provide this information to EF by implementing a DbConfiguration attribute. I put this attribute class into the same file w/ my context and decorated the context with the attribute. If we want to use .NET Core’s new dependency injection engine, we need to inject our context and whatever else we’re interested in. My repositories have constructors that utilize the context and are all derived from a base implementation. I have a simple routine that injects the context and all repositories. I have looked at using migrations, since I’m using Database-first modeling, but I presume it would require a bit of set-up as well due to the way the migrate.exe finds connection strings. In the best case, migrate.exe could be run directly with a connection string passed-in to avoid configuration headaches. Finally, in the default HomeController, I am injecting an IRepository>T< to confirm querying the database works – and it does!